Kerry takes drastic action. Emma meddles. Aaron plays matchmaker. Lisa is desperate to save Zak. Paddy looks forward to his date. Tracy worries about Finn. Pierce has a surprise for Rhona. Will Kerry confess? Aaron feels sidelined. There are desperate times for Kerry. Aaron confronts Rebecca. Rhona feels guilty. Kerry is left heartbroken. Cain fights for Moira. Megan opens up to Jai. Cain makes a decision. Charity feels sorry for herself. Frank smells a rat. Cain manipulates Chrissie. Lisa has doubts. Charity plays hardball. Chrissie is left reeling. Tracy has a plan. Chas is intrigued. Lachlan's trial begins. Nicola is determined to take back control. David is unimpressed. Will Lawrence reveal the truth? Finn tests Kasim. Rhona is left feeling confused. Pierce tries to control his anger. Chrissie feels let down. Jimmy worries about Nicola. Gabby struggles with Ashley. Chas is left fuming. Cain grows suspicious. Debbie returns with a bang. Doug offers Laurel respite. Pierce feels resentful. The Dingles race against time. Doug gets an eye opener. Pierce makes a point. Will Debbie get caught? Rhona feels embarrassed. Doug helps Laurel make a decision. Debbie opens up to Ross. Sam gives Zak food for thought. Rhona questions Pierce. Lisa takes matters into her own hands. Debbie gets some bad news. Moira rejects help. Moira seizes an opportunity. Cain confides in Debbie. Rebecca has a plan. Moira is caught red-handed. Chrissie drops Rebecca in it. Cain gets some worrying news. Chrissie's hopes are dashed. Emma discovers Moira's secret. Frank grows suspicious. Will Rebecca take Robert's advice? The game is up for Charity. Emma is left frustrated. Charity is up to her old tricks. Rebecca breaks some bad news. Tracy is hopeful about her first book club. Charity and Frank are cornered. Cain fears for the future. Tracy receives inspiration from an unlikely source. Sarah makes a shocking discovery. Chrissie figures out the situation. Zak struggles under the pressure. Emotions run high for Zak and Kerry. Debbie fears for Sarah. Lawrence makes a surprising decision. Debbie demands the truth. Laurel takes too much on. Priya receives surprising news. The Dingles unite against a common enemy. Laurel makes a decision. Rhona confesses. There is a change for Ashley. Rhona gets a shock. Priya makes a decision. Paddy and Rhona face change. Finn takes desperate measures. Laurel is tempted. The Bartons receive some bad news. Tracy and Pearl team up. Lisa and Zak face an uncertain future. The Dingles face the fallout. Will Aaron and Robert's big day go to plan? David struggles with jealousy. 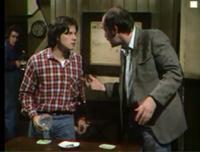 Paddy and Chas have a heart-to-heart. Robert and Aaron face an uncertain future. Debbie is forced to make a decision. Laurel confides in Will. Debbie considers risking it. Gabby and Liv are up to no good. Aaron struggles with the situation. Laurel gets an unwelcome surprise. Debbie worries about her actions. Jai gets some surprising news. Laurel confides in Marlon. Jai demands the truth. Debbie asks Cain for an unexpected favour. Rakesh and Priya decide their future. Sandy visits Ashley in the care home. Chrissie smells a rat. Rakesh faces the consequences. Robert causes trouble. Charity spots an opportunity. Chrissie tries to get the truth. Rakesh is in a bad way. Carly's concerns grow. Lawrence is angry with Chrissie. Charity is up to no good. 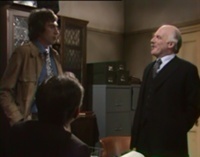 Chas lashes out. Things get worse for Aaron. Charity and Chas makes a decision. Diane's suspicion grows. Aaron is cornered. Robert struggles under pressure. Liv feels isolated. Liv makes a shocking discovery. Chrissie is determined to make amends. Finn makes a big decision. Rebecca takes matters into her own hands. Pierce and Vanessa are at loggerheads. Emma struggles to let go. Pierce enjoys the moment. Chrissie and Rebecca take action. Jacob's anxiety soars. Vanessa is unhappy with Pierce. Jacob and David face an uncertain future. Ronnie and Lawrence decide their fate. Pierce has a plan. Jai struggles with the past. Laurel tells the truth. Laurel takes her eye off the ball. Rhona has had enough. Jai is caught off guard. Gabby and Liv are up to no good. Vanessa's feeling isolated. Faith feels rejected. Laurel takes matters into her own hands. Robert fears the worst. Zak does not like what he hears. Robert learns the truth. Zak takes action. Doug worries for his family. Robert turns to the bottle. Zak and Lisa sling mud at each other. Jimmy and Bob visit Ashley. Chas returns to a shocking revelation. Carly gets an unexpected offer. Faith is caught in the act. Carly struggles under pressure. Robert fears the consequences. Harriet visits Ashley. Carly takes action. Faith is up to her old tricks. Bob grows concerned about Sandy. Ashley returns to the village. Bernice confronts Carly. Faith becomes a fundraiser. Emma seeks forgiveness. Faith's actions cause a stir. The pressure mounts for Cain. Emma is ushered out of the Woolpack. Harriet has had enough. Liv is worried. Laurel is furious with Doug. Harriet is questioned by the police. Marlon is caught off guard. Bob receives devastating news. Laurel struggles to forgive. Harriet is conflicted. Arthur is poorly. Harriet gets an unexpected offer. Debbie is keen to help. 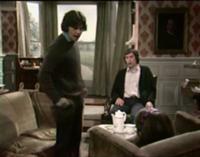 Chas confronts Faith. Arthur fibs. Jai gets angry. Ashley joins in the merriment. Chas misunderstands. Jai seeks help. Laurel is feeling determined. Jai reaches out. David is fuming. Liv gets bad news. Arthur worries. Tracy suffers a setback. Faith puts on a brave face. Laurel makes a decision. Pierce spots an opportunity. The Thomases prepare for the future. Vanessa makes a discovery. Tracy has aspirations. Vanessa makes a mistake. Gabby struggles under pressure. Debbie is worried. Robert is nervous. Rhona is emotional. Debbie has reservations. Aaron is overwhelmed. Pierce is smug. Rakesh warns Jai. The villagers unite around Ashley. Jai is concerned. Robert is unnerved. Robert feels the pressure. Victoria puts her foot in it. Gabby lashes out. Rebecca is left reeling. Adam makes a discovery. Bernice feels guilty. Ross spots an opportunity. Faith feels rejected. Adam has an idea. Gabby cannot forgive. Robert realises he must act fast. Faith is emotional. Laurel goes home for some rest. Cain offers support. Sarah is concerned. Bernice has a plan. Harriet is suspicious. Adam and Victoria get news. Cain is furious at Harriet. Ross puts his foot down. Pierce has a suggestion. Adam and Victoria get some news. Rhona is torn about the situation. The Barton brothers have an idea. Pierce is acting suspiciously. Adam drowns his sorrows. Tracy wonders what is going on. Rhona has reservations. Adam lashes out. Chrissie gets a shock. Vanessa plays with fire. Ronnie offers advice. Tracy is feeling humiliated. Rhona is emotional. Chrissie comes up with a plan. Adam and Victoria struggle. Rhona and Pierce's big day arrives. Lachlan spends time with Belle. Jai looks for Nell. Rhona is in shock. Victoria takes control. Jai receives some upsetting news. Marlon senses something is wrong. Vanessa tries to help. Priya has reservations. Megan's day takes a bad turn. Adam makes a decision. Lachlan tries to make amends. Megan fears the worst. Marlon is curious. Sam has a date. Nell opens up. Sam makes a choice. Moira feels the pressure. Moira is feeling the pressure. Sam misunderstands Megan. Debbie questions Cain. Ross is up to no good. Cain spots an opportunity. David has an idea. Moira is on the warpath. Laurel is concerned. Jacob is wound up. Tracy has her book launch. Charity feels rejected. Lydia gets more than she bargains for. Dan is questioned. Ross is left reeling. Arthur despairs. Dan is feeling uneasy. Laurel offers comfort. Samson and Noah are up to no good. Dan is intimidated. Moira receives shocking news. Samson is feeling guilty. Adam is wound up. Pollard lashes out. Sam has an idea. Emma is up to no good. Paddy is shocked. David and Tracy are concerned. Vanessa is frustrated. Adam makes his feelings clear. Carly is torn. Vanessa is stunned. Emma is defensive. Nell has a plan. Marlon wants answers. Lydia makes a discovery. Zak is frustrated. Carly receives a surprise. Vanessa offers her support. Nell is thrown. Priya is horrified. Carly is feeling guilty. Zak tries to prove himself. Jai has to make a decision. Dan is cornered. Sam comes up with a solution. Dan is under pressure. Zak's day goes from bad to worse. Debbie is fed up. Pollard grows suspicious. Debbie is caught out. Belle is feeling confused. Tracy faces the consequences. Rebecca is conflicted. Charity spots an opportunity. Charity and Debbie make a mistake. Ross is smug. Moira is feeling worried. Robert is under pressure. Rebecca makes a decision. Lawrence demands answers. Robert is churned up. Rebecca has a change of heart. Lydia gets emotional. Chrissie offers an ear. Lydia and Sam have a plan. Adam gets a shock. Laurel gets a surprise. Marlon takes action. Emma is comforted. Rebecca makes a big decision. Marlon makes an effort. Kerry prepares to face the music. Marlon grows concerned. Lawrence is stunned. Nell arranges a meeting. Carly is left speechless. Nell is emotional. Nicola and Jimmy get carried away. Carly is spontaneous. Nicola has an idea. Belle does not feel her best. Marlon makes a decision. Belle gets the wrong end of the stick. Charity spots an opportunity. Marlon is feeling confused. Finn is frustrated. Kerry is in her element. Nicola is pushed too far. Finn takes desperate measures. Charity grows suspicious. The Sharmas try to quell gossip. Leyla has had enough. Marlon receives a surprise. Finn makes matters worse. Rakesh is unnerved. Belle is gutted. Finn and Ross make a discovery. Priya is rumbled. Charity confronts Faith. Pete is not happy. Priya is forced to make a decision. Lachlan gets some advice. Priya gets an invitation. Lachlan is feeling nervous. Finn and Ross hatch a plan. Rakesh takes a stand. Doug becomes secretive. Lachlan is conflicted. Rakesh is humiliated. Diane gets suspicious. Rhona tries to move forward. Rhona gets a shock. Priya stands her ground. Adam is spurred into action. Rhona makes a big decision. Rebecca contemplates her future. Pete feels the pressure. Rhona is anxious. Robert is feeling irritable. Lawrence tries to remain calm. Robert has a plan. Chrissie grows suspicious. Doug receives a proposition. Finn is in too deep. Lawrence has news for Chrissie. Lachlan worries Belle will dump him. Finn feels helpless when someone is hurt. Chrissie wants answers. Doug is distracted. Rhona worries for the future. Leyla confides in Priya. Faith tries to cheer up Doug. Moira has a realisation. Paddy is shocked. Priya is put in an awkward position. Pete's plan goes awry. Vanessa is left reeling. Doug makes plans. Rhona becomes paranoid. Priya feels the pressure. Tracy is intrigued. Paddy reaches boiling point. Debbie gets the wrong impression. Arthur grows anxious. Rhona searches for answers. Arthur becomes a cause for concern. Tracy feels conflicted. Rhona feels fearful. Emma's plans go awry. Frank grows concerned. Emma manipulates the situation. Tracy becomes disheartened. Rhona confesses her fears. Tracy struggles with a secret. Lawrence takes drastic action. Emma's scheme takes effect. Lawrence tries to mask his guilt. Megan comes up with a plan. Cain and Harriet come to an agreement. Lachlan covers for Lawrence. Pollard comes to Faith's defence. Laurel's heart breaks for Arthur. Lawrence is keen to keep Lachlan sweet. Arthur gets a scare. Robert makes an effort. Laurel is determined. Lawrence is not out of the woods yet. The villagers gossip. Robert tries to make amends. Aaron gets a blast from the past. Emma continues to lie. Robert is devastated. Cain and Harriet receive a surprise. The Barton brothers are on edge. Robert makes a bold proposal. Debbie vents her frustrations. Finn tries to prove his worth. Aaron's emotions boil over. 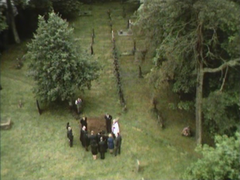 Rhona breaks down. Debbie confronts some hard truths. Rhona receives a fresh blow. Robert despairs. Debbie plays it cool. Rhona fears the worst. Ross and Debbie circle one another. Robert is determined. The Woolpack hosts a party. Chrissie has a visitor. Priya looks for answers. Leyla applies the pressure. Cain is suspicious. Kerry gets her hopes up. Priya questions Nell. Frank is downcast. Debbie is upset. Priya has a dilemma. Megan faces a choice. Kerry makes a mistake. Pete takes action. Jai supports Nell. Lydia makes a discovery. Megan becomes edgy. Priya is caught out. Rhona feels reassured. Rhona is under pressure. Robert feels sorry for himself. Lachlan is uneasy. Vanessa resorts to drastic measures. Lachlan feels embarrassed. Harriet is fearful. Rhona takes control. Lachlan is fuming. Cain considers taking action. Rhona is in shock. Harriet is less than impressed. Lawrence masks his concern. Rhona is left reeling. Chrissie has a meeting. Moira offers her advice. Lawrence is unnerved. Aaron returns to the village. Rhona feels overprotected. Lachlan reassures Lawrence. Laurel confides in Bob. Adam is worried about Aaron. Chrissie makes a decision. Laurel is feeling disturbed. Robert is concerned about Aaron. Laurel does not give up. Debbie is feeling hurt. Robert is in a giving mood. Emma has a surprise visit. Rebecca is fearful. Sarah is furious with Debbie. Laurel and Emma's accusations continue. Rebecca is on edge. Pollard tries to impress. Robert hatches a new plan. Ross feels doubtful. Pete struggles to stay calm. Lawrence causes concern. Pete fears he has been exposed. Pollard forms an unlikely friendship. Jacob faces a tough dilemma. Rebecca feels uneasy. Adam confronts a friend. Jacob's loyalty lands him in trouble. Leyla is puzzled. Stubborn Lawrence stands his ground. Jacob has a decision to make. Megan feels conflicted. Lawrence is chastened. Charity encourages Megan. Jacob has regrets. Finn makes a suggestion to Emma. Emma is alarmed about Finn. Megan is in too deep. Leyla is worried about the wedding. Finn wants answers. Pete feels the pressure. Harriet is pleased. Pete makes a choice. Finn struggles. Nicola becomes competitive. Pete and Leyla's wedding day arrives. Pollard and Doug bicker. Will the wedding go ahead? Harriet struggles. Rhona is on the defence. Leyla reaches out. Rhona causes concern. Kerry and Nicola compete. Rhona seeks comfort. Kerry is troubled. Priya faces a tough choice. Rhona seeks closure. Megan's plan is at risk. Kerry feels conflicted. Megan is on edge. Paddy takes the plunge. Aaron vents his frustrations. Megan sees red. Adam struggles to impress. Kerry feels defiant. Frank feels frustrated. Aaron refuses to back down. Kerry tries to do the right thing. Adam makes a decision. Marlon berates Megan. Kerry tries to make amends. Aaron is on the warpath. David is concerned. Emma is distracted. Aaron is ready to fight. Rebecca fears for Lawrence. Faith faces a choice. Aaron makes a shocking discovery. Robert spots an opportunity. Bob is stuck in the middle. Robert has to react. Bob struggles with guilt. Faith puts on a brave face. Robert is in a tricky situation. Kerry has a plan. Pollard and Faith clash. Dan gets a surprise. Robert gets some inspiration. Pollard looks ahead. Dan has a change of heart. Debbie gets competitive. Nell struggles with doubt. Debbie feels optimistic. Nell is evasive. Daz gets a fresh start. Ross goes out on a limb. Jai is left reeling. Emma struggles with a secret. Jai masks his concerns. Cain is suspicious. Emma wreaks fresh havoc. Nell gets desperate. Leyla is stunned. Debbie puts on a brave face. Nell seeks comfort. Priya is feeling low. Tracy gets her hopes up. Tracy looks forward to her birthday. Moira offers her support. Emma tries to make amends. David has a plan. Jai reaches out. Debbie gets in deeper. Vanessa struggles with a secret. Debbie is on the back foot. Kerry spots an opportunity. Debbie and Ross have a plan. Daz offers a hand. Aaron gets a surprise. Debbie feels the pressure. Daz faces the consequences. Megan is hostile. Debbie and Charity get a surprise. Liv is on the warpath. Jimmy is feeling frustrated. Liv's life is in danger. Debbie is confused. Finn is concerned. Aaron is pushed to the brink. Victoria reassures Adam. Laurel faces a difficult task. Aaron's interest is piqued. Lawrence contemplates his future. Victoria reaches a decision. Lawrence self-destructs. Aaron is conflicted. Laurel masks her sorrow. Lawrence is thrown into turmoil. Aaron bonds with Liv. Lydia is mortified. Lachlan is suspicious. Bernice enlightens Gabby. Marlon makes an intervention. Robert starts to plot. Laurel makes a mistake. Paddy gets set up. Emma gets an unexpected message. Marlon is feeling smug. Robert asks for a favour. Gabby is on a mission. Marlon gets a surprise. Kerry and Chrissie are in cahoots. Lydia has an accident while cleaning. Vanessa and Pearl make a discovery. Adam is put out. Gabby feels the pressure. Robert is on the back foot. Paddy makes a mistake. Emma is determined. April is not happy. Lachlan is on edge. Moira is confronted. Tracy plays cupid. Adam and Victoria share a moment. Emma is resolute. Adam is on a mission. Cain and Harriet form a plan. Someone battles to survive. A life hangs in the balance. A family is torn apart. Devastation rocks the village. Sad news reaches the village. Lives are changed forever. Shock ripples through the village. Gerry enrages Pollard. Lydia fears exposure. A plan is formed. Liv is unimpressed. Rishi puts pressure on Lydia. Gabby and Liv make a discovery. Kerry is suspicious. Police descend on the village. Events move in a different direction. Sam causes concern. Zak takes matters into his own hands. The Dingles demand answers. Vanessa is trapped. An unexpected kiss leads to passion. Vanessa struggles. Paddy advises a friend. Vanessa is exposed. Leyla lashes out. Rebecca feels undermined. Jai plays peacemaker. Vanessa feels embarrassed. Robert is on edge. Jai is devastated. Chrissie and Rebecca are at odds. Daz is eager to impress. Lawrence arouses suspicion. Daz plays the hero. Jai is in denial. Lawrence is left reeling. Dan loses his temper. Jai opens up. Cain and Moira clash. Daz feels hopeful. Lachlan is left seething. Moira reaches breaking point. Debbie is stressed. Tracy hatches a secret plan. Cain is concerned about Moira. Sarah is suspicious. Vanessa's interest is piqued. Harriet is conflicted. Debbie battles Chrissie. Paddy breaks his promise. Charity is confronted. Jai is apprehensive. Chas makes a declaration. Charity takes drastic action. Lawrence gets some good news. Jai struggles. Debbie is offered a proposition. Lydia decorates Home Farm. Megan worries about Jai. Lachlan is livid. Debbie feels compromised. Megan worries for Jai. Robert feels smug. Pete grows suspicious. Jai lightens up. Gabby feels betrayed. Lachlan seems apologetic. Rhona feels frustrated. Gabby is caught out. Paddy is under pressure. Victoria is nervous. Rhona confronts her feelings. Laurel's anxiety grows. Gerry bonds with Doug. Adam is under scrutiny. Gabby is spooked. 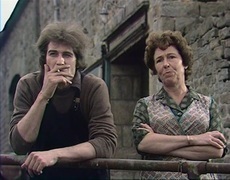 Paddy and Rhona join forces. Adam makes a shocking revelation. Gerry has a dilemma. Faith is deceived. Adam is conflicted. Pollard battles his conscience. Gerry hatches a plan. Pollard is humiliated. Suspicion is rife. Lawrence fights his emotions. Aaron faces an impossible situation. Robert is compromised. Pollard hides his true feelings. Robert is emotional. Bernice makes a shocking discovery. Gerry fears recriminations. Robert makes a confession. Pollard vows to make amends. Bernice is tempted. Sparks fly for Faith. The Dingles receive a shock. Robert feels conflicted. Pollard plays the hero. Rhona's feeling deepens. Robert tries to prove himself. Paddy and Chas go public. Pollard is evasive. Moira is on edge. Moira is struggling. Tracy is unimpressed with Pollard. Lachlan loses his temper. Moira opens up. Pollard feels the pressure. Chrissie despairs. Cain is reflective. Faith feels contrite. Moira accepts help. Lachlan is confronted. Harriet voices concerns. Debbie evades questioning. Robert is defensive. Debbie conceals the truth. Moira confides her deepest fears. Chrissie reaches breaking point. Tom is interrogated. Megan feels conflicted. Debbie fears the worst. Chrissie receives devastating news. Bernice is horrified. Debbie struggles to cope. Nicola heads to church. Bernice sets a plan in motion. Bernice is stunned. Bob is mortified. Robert faces an ultimatum. Rebecca is forced to confess. Bernice maintains her charade. Tom is evasive. Lawrence faces the shocking truth. Bob plans a grand gesture. Diane is unimpressed. Chrissie plays peacemaker. Debbie is confused. Bernice feels the pressure. Charity acts on her suspicions. Robert is determined. Zak and Sam stand their ground. Debbie is on a mission. Pete makes a declaration. Lisa is conflicted. Lisa is led into temptation. Pete raises his hopes. Tom meets his match. David is taken by surprise. Liv is determined. Lisa loses her patience. Leyla makes it clear. Lisa takes a stand. Aaron explains to Alex. Zak makes a heartbreaking decision. David is stunned. Aaron is on the warpath. Pollard takes desperate measures. Leyla is accused. Rhona is inspired. Pollard faces the music. 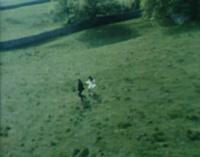 Paddy is thrown by an admission. Lisa is conflicted. Pete spirals out of control. Jacob is resentful. Pollard confronts his loss. Adam acts on impulse. Moira receives upsetting news. Lisa is fearful. Moira is pushed to the brink. Victoria races against time. A text message is significant. Victoria is plagued with doubt. Out of desperation, Moira meets a known face. Arthur and Elliot make a discovery. Moira faces a stark choice. Pete and Ross prepare to say goodbye. Harriet makes arrangements. The horrifying truth finally emerges. Lives will be changed forever. Flashbacks show what happened. Nicola is concerned. Someone is anxious. The police close in on their suspect. A villager is arrested. Laurel is on edge. Debbie feels conflicted. A villager is kept in for questioning. A family is thrown into turmoil. Diane confronts Bernice. A villager makes a decision. Lydia and Sam are torn over a decision. Liv urges Aaron to act. One villager is left heart-broken. Bernice sees the consequences of her actions. Charity wants another cellar meet up. Paddy gets embarrassed. Daz takes action. Aaron's insecurities are exposed. The Dingles have a get together. Robert makes an important decision. Aaron is distracted. Harriet is concerned. Gerry suffers with a hangover. Rebecca sees a new side to Robert. Victoria helps Robert. Liv is pleased with Alex and Aaron. Zak enlists Faith's help. Rebecca confesses her plans. Lachlan is angry. Jimmy receives a tempting offer. Bernice is nervous about her date. 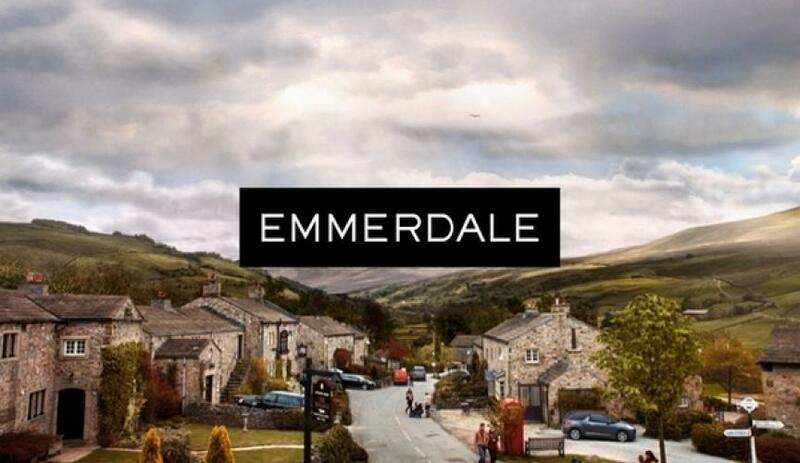 The Dingles get ready. Bernice arranges a date. Jimmy is nervous.